Of course, there’s red for winter and the holiday season…but what’s sexier than red lips for spring? It’s a definite trending color now and [always.] 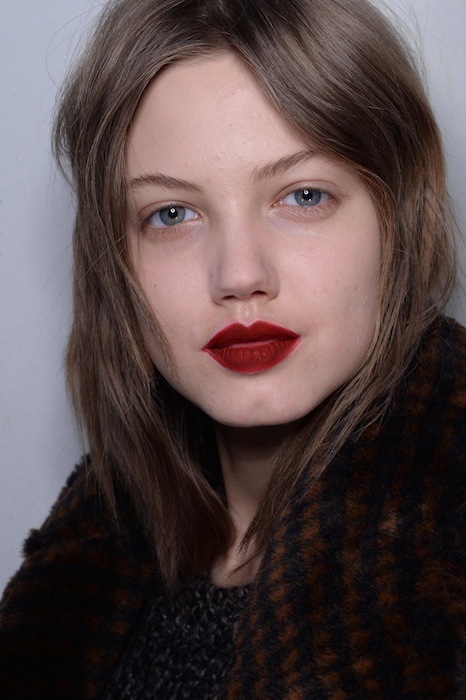 We were inspired by MAXMARA, brought the lips out for their latest Fall 2014 line and you should too. Add some luxury to to your pastels and go bold. Don’t hold back with your lip color…now’s the time to let the vixen out- and we found the perfect red lip at Sisley Paris. We just love the Sisley Paris hydrating long-lasting lipstick. It’s that [trending] matte finish that stays on all day. Plus, it doesn’t smear and it’s filled with vitamins to keep your lips healthy. If you’re going to make a statement…use a great brand. This lipstick makes for the perfect pout around and matches the ‘warming up’ season. It also has a very particular fragrance that’s so familiar. Once you apply, it’s like revisiting an old friend. Add a dab to your cheeks too for more all-day wear. Rosy cheeks, rosy flair…this is one of the greatest lipsticks around. Take our word for it. We suggest jumping on [this] bandwagon. fdmLOVES Red Pout for Spring commentary by Brigitte Segura.